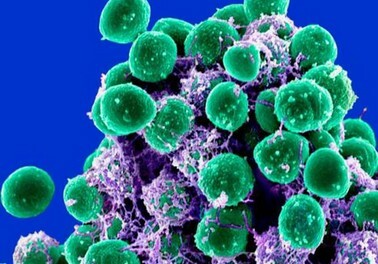 Bacteria’s ability to become resistant to antibiotics is a growing issue in health care: Resistant strains result in prolonged illnesses and higher mortality rates. One way to combat this is to determine bacteria’s antibiotic resistance in a given patient, but that often takes days — and time is crucial in treatment. ASU scientists have developed a technique that can sort antibiotic-resistant from “susceptible” bacteria, and it happens in a matter of minutes. The average human has more than 100 trillion microbes in and on his/her body. That’s nine times the number of cells that make up the entire human body. Armies of bacteria sneak into our bodies the moment we are born, uninvited but necessary guests. We can’t do without them.Bacteria have, by evolution, the ability to rapidly adopt beneficial genomic alterations. One type of adaptation is resistance to antibiotics, and this is becoming a huge and worldwide problem. “The important thing for the patient and the doctor is getting the right answer right away. By advancing a fundamental area of science, we are able to create an entirely new way to differentiate these micro-organisms,” Hayes said.